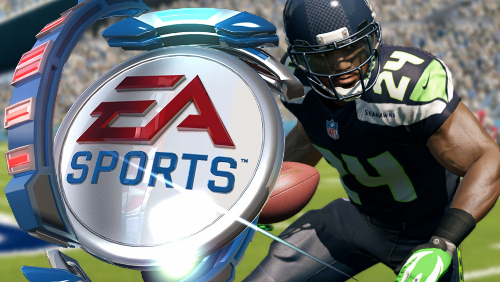 Following up on last week’s release of the first gameplay details and presentation enhancements EA Sports has rolled out additional videos today that delve further into those areas for Madden NFL 13. Mark Schlereth hosts the videos – which are obviously much more concise than the initial 90 minute presentation but more valuable than the first trailer – featuring a number of development team members. They do a good job of communicating why the improvements are valuable while also providing some brand new replay footage in the process. Some of the topics discussed include work on the graphics, the new presentation package and commentary team of Jim Nantz and Phil Simms, the introduction of the Nike uniforms, additional pass trajectories and different types of passes, the work done with play action, read-and-react defensive AI, and the disguising of defensive coverages and proper coverage assignments. Continue on to check out the two videos – one presentation based and the other focusing on gameplay – and leave any thoughts in the comments!